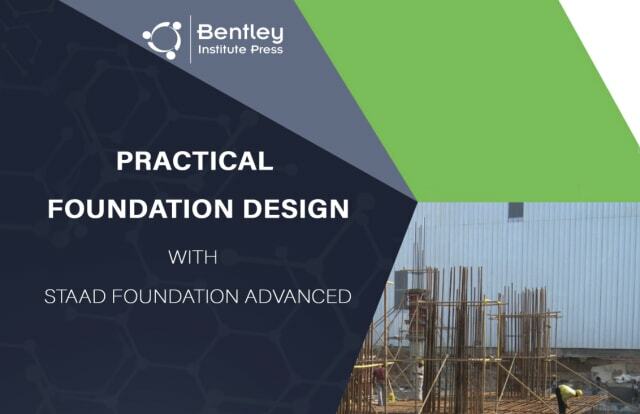 Bentley has released a new how-to publication for structural engineers using its STAAD Foundation software. STAAD.Pro (Structural Analysis And Designing Program) helps engineers solve structural analysis and design problems in building models. STAAD Foundation focuses specifically on foundation design, and the complicated calculations required to ensure that a building stands on solid ground. It digitizes these calculations, designs possible foundation configurations, creates 3D renderings, and creates production quality reports. The new Practical Foundation Design with STAAD Foundation Advanced lays out how to use the software, explaining the inputs and outputs of STAAD Foundation, and delving into the basics of foundation engineering design. To explain more complicated cases, the book features tutorials that enables readers to practice working through problems in realtime. According to Bentley's press release, the book is meant to deliver "continuous learning" for both experts and beginners, and help formerly paper-based engineering companies go digital. In many ways, author Apurba Tribedi is the perfect man for the job. He’s been a senior project manager at Bentley for 13 years`, and has played a major part in the development of STAAD Foundation. In addition, he’s published academic articles on the modulus of subgrade reaction, and obtained a 2017 U.S. patent for developing a new computer-aided method for making calculations on soil-structure interactions. The book is digital only, and joins the other publications in Bentley’s library.